We were running late. Parking was packed, the night was wet with the late afternoon drizzle, and our tickets were aching to be released from our dashboard. Reaching the box office, we dug through a swarm of people who took pictures, drinking champagne, and lined up for signed copies of our favorite author: Neil Gaiman. Walking into the Carpenter Performing Arts Center, at California State University of Long Beach, we were offered to write questions for the evening’s presentation. The idea was curios, and a wonderful exercise to execute. We couldn’t wait to see what was in store. Taking our seats, the lights dimmed, and Mr. Gaiman took the stage. His demeanor was humble, he made the audience laugh by stating the obvious, and embraced us with his charisma after each story read, experience shared, and questions read from the same paper slips passed to all of us in the lobby. I couldn’t thank my wife more for this wonderful birthday present. The man was inspirational with his smart jokes and quizzical charm. He could have spoken about himself, but his meditation that night drew us into this maze of other inspiring people who’ve shaped his career. The night went with no halt or bumps along the journey of his authorship. None, except by one question: “As a Novelist, how does one sharpen one’s pen to get over Writer’s Block?” Gaiman placed the paper down with an expression of concern. He leaned towards the microphone, and said, “Don’t sharpen that pen. I can recommend pencils, but please do not sharpen that pen.” We roared with laughter, but the loving author had more to explain. With a smile, he confessed that Writers Block did not exist. “We made it up,” he said, “writers are clever like that.” You can be stuck, and still write. It may not be a novel, it can be emails or tweets, but your writing can’t be blocked. Blaming such a thing is allowing an outside force to stop you from your action. “The Gods did it.” There is no Writers Block. In his early twenties, he wrote a few paragraphs about a child raised by ghosts. His inspiration was when he saw his son playing in the graveyard, located near his home, at the time. He placed the story aside, and would continue returning to it every now and then, for the next twenty two years. He confessed to being an insufficient writer to produce the level of work he wanted for the Graveyard Book, until the early millennium. Yet another example of his humble demeanor. 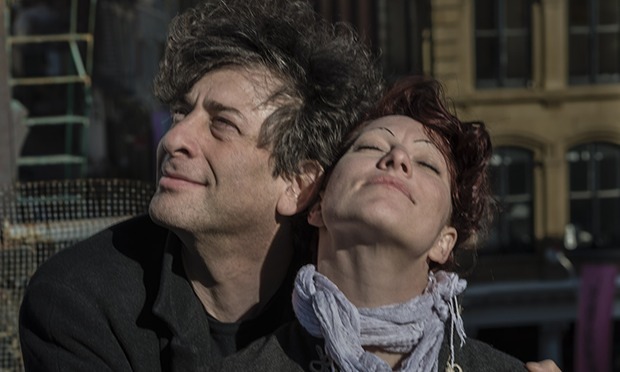 Out of missing Amanda Palmer, his wife, he wrote The Ocean Down The Lane. It originally was meant to be a short story, as a gift, for her. At the time, she was touring with her band, and he was left to type away, wishing to only be next to her again. As he typed, the short story turned into a novelette, and soon a novella. After two and a half months, he counted his story to be about fifty four thousand words, and realized then that in missing his wife, had accomplished writing a novel, by accident. Proceeding to answer the question, he testified both stories as a clear measure to suffice. Of course, it was funnier when he said it. But he told everyone that writing isn’t an easy task. He asked the audience to try writing other styles, if the deadline was a concern, such as traditional poetic stanzas (sonnets, villanelles, terza rimas, and many more), a journal entry, or even a letter. One spends so much time alone, “even if you write a really funny joke, the room will still stay silent.” The real challenge is finishing. If needed be, finish a short story. The night closed after a few readings from his selected chapters, in a couple of books he had on his podium. A few questions that had him elaborate on the same topics of the writer’s lifestyle, and another mention or so of his dear friends. He thanked us all for attending, and left with one last announcement, “I don’t know when I will return again to California. As much as I love doing these events, I must return to writing my novel. I miss it so very much.” We might not see Neil Gaiman in person for another year, and even then, where will he be when he does? I found my wife with a signed copy of The Sleeper and The Spindle, walked back to the car, with her hand in my arm, and returned home with the satisfaction of seeing one of my greatest influences in my life, live on stage. 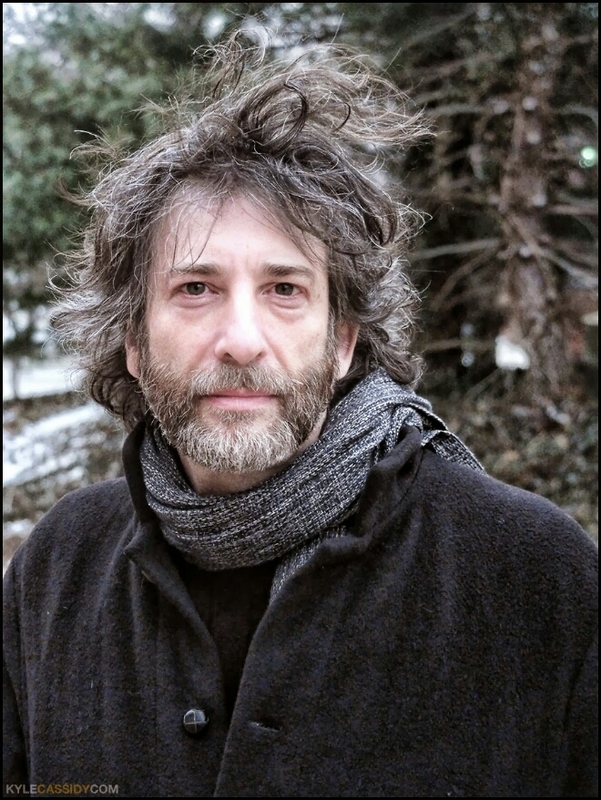 I may not see Neil Gaiman like that again, and I had admit that his testimony touched us both.